The My Cloud Home Desktop App is compatible with the following 64-bit versions of the Windows and macOS operating systems. WD Discovery Software can be installed on x86 (32 bit) and x86_64 (64 bit) computers. The My Cloud Home Desktop app included in WD Discovery Software, cannot be installed on x86 (32 bit) computers. WD Discovery Software cannot see nor access a My Cloud Home without the My Cloud Home Desktop app. Firewall, File System Encryption and End Point Protection Software can prevent the Login and Mounting of the remote drive. Sync icons may be different depending on the version of WD Discovery used. The following table explains some of the features and symbols within the WD Desktop Sync. Sync To My Cloud You can sync content from a Windows or macOS / OS X system with the Desktop Sync feature. This is not a scheduled backup, but instead a folder sync. Make Available Offline This feature allows content currently saved on a My Cloud Home device to be made available on Windows or macOS / OS X system for editing, adding or deleting. This feature is implemented at the folder level and automatically syncs any changes. Unsync This option is accessed by right clicking a folder that has been synced or made available offline. 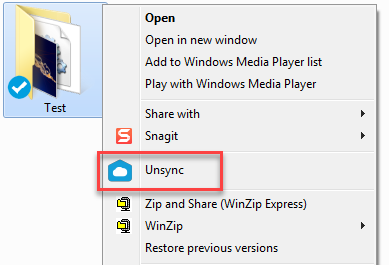 Unsync stops a folder from being synced or removes offline access to a folder. Blue or Green Checkmark A blue or green checkmark will appear beside a folder or file that has finished uploading. This can appear when you use either Sync Desktop Content or make Content Available Offline. Green or Blue Sync A green or blue sync symbol will appear beside a folder that is synced. This will appear when the Desktop Sync is used on a folder. Blue or Green Sync & Shared A blue or green symbol will appear with the folder or files are both Sync and Shared. The Family folder and all of it's contents are Shared with all users that have access to the My Cloud Home. Slow data transfer can occur for a My Cloud Home in proxy relay mode and when transering large quantities of small files. Port Forward mode does not suffer from slow data transfer rates. The renaming of sync folders are not supported and may result in data loss. Renaming of sync folders can cause all kinds of issues due to in progress file management being disrupted, and can cause data loss. If a Sync folder has been renamed, it should be Unsync'd and deleted. Windows C:\ drive normally contains the Windows Operating System. Desktop Sync of folders on the root of C:\ are not supported when the Operating System is also installed on the C:\ drive. The Sync to My Cloud option will not be shown for folders on the root of a drive that host the operating system. 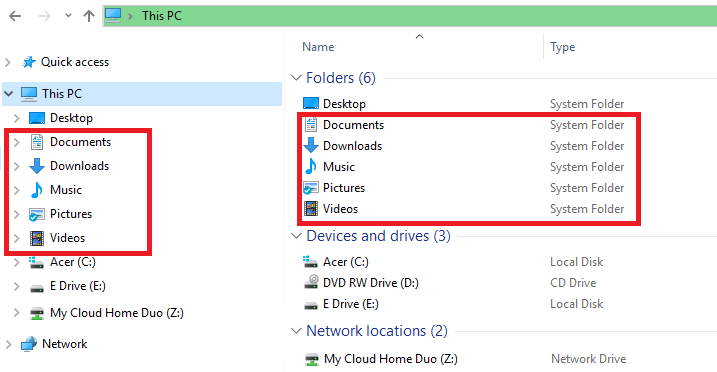 The My Cloud Home Desktop Sync supports the following directories and folders and locations on a Windows computer. The My Cloud Home Desktop Sync supports the following directories and folders and locations on a Mac computer. Large data sets and complex data structures can take up to 30 minutes before being displayed at the sync destination. 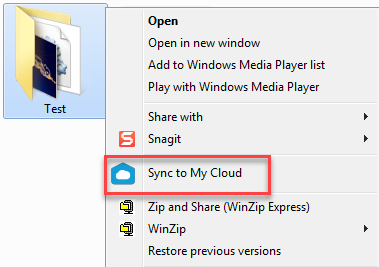 Follow the steps below to "Sync to My Cloud"
From within the operating system, Right-Click a folder and select the option Sync to My Cloud. A blue checkmark will appear beside a folder that has been synced. 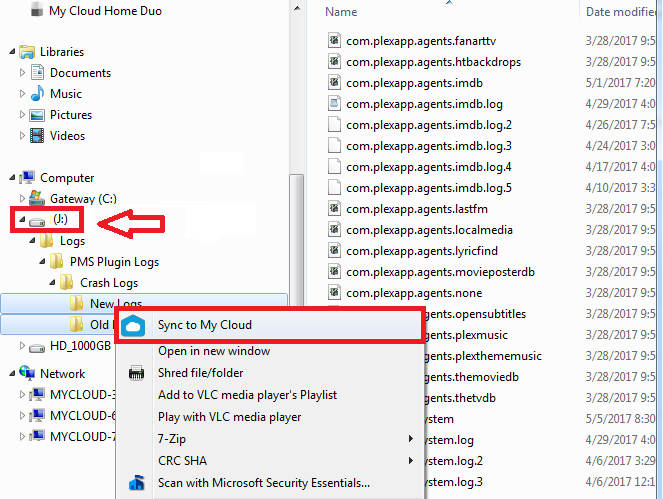 This will create the Sync from desktop folder on the My Cloud Home device. Inside this folder will be the folder chosen during Step 1. Any content added or modified to this folder will automatically sync to the My Cloud Home device through the My Cloud Home Desktop App. To stop the Desktop Sync process, Right-Click the originally synced folder and select the option Unsync. If more than one folder have the same name on the My Cloud Home device, a number will bed added to the name to differentiate it from the other folders. For example: Test and Test(1). This feature allows content currently saved on a My Cloud Home device to be made available on Windows or macOS / OS X system for editing, adding or deleting. This feature is implemented at the folder level and automatically syncs any changes. Follow the steps below to "Make Available Offline"
Access the content on a My Cloud Home device through the My Cloud Home Desktop App. This is typically made available through the My Cloud Home icon created on the systems desktop environment. Right-Click a folder and select the Make Available Offline option. If one has not already been created, a new folder will appear on your desktop with the name My Cloud Offline Files. Inside the folder will appear the folder you selected for the Make Available Offline process. You can now add, delete, or modify content in this folder. 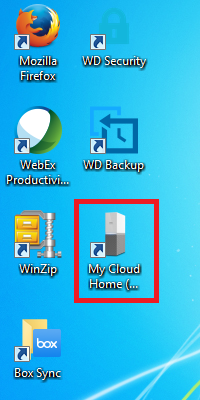 Any changes made to content within the desktop folder will automatically change the content on the My Cloud Home device when it is connected to the system.